The next meet up will be Thursday, April 18, 2019, at Pdub Brewing in PW. All the gear donations for the climbing comp will be auctioned off. SoCO CRAG will be gathering at 6:30pm to socialize, followed by our meeting and auction from 7:00- 8:00. This is your chance to get some great deals, network with other area climbers, plan trips, get ready for rock season and hear first-hand the latest from SoCO CRAG. Come join us for food and drinks. Bring a friend! The next meet up will be Tuesday, November 20, 2018, at Walter’s Brewery. SoCO CRAG will be gathering at 6:00pm to socialize, followed by our meeting from 6:45- 7:30. This is your chance to network with other area climbers, plan trips and to hear first-hand the latest from SoCO CRAG. Come join us for food and drinks. The BBQ food truck will be onsite too. Bring a friend! Mountainfilm: celebrating indomitable spirit; Mountainfilm uses the power of film, art and ideas to inspire audiences to create a betterworld. Mountainfilm on Tour will be at CSU-Pueblo Thursday, Nov 8, 2018, 7pm. The screening is in the Ochiato Student Center Ballroom, free and open to the public. Bringing you the finest dirtbagging-grassroots-climber-gathering in Southern Colorado! This October 19th-21st, head on down to the best limestone sport cragging Colorado has to offer, and with the American Alpine Club and CAMP USA, be treated to a weekend of clinics, contests, beer, parties, slideshows, films, giveaways, stewardship and fun. For 2018 we have an incredible weekend in store: up your game with stellar clinics taught by professional climbers and local mountain guides, presented in part by Pikes Peak Alpine School; local food and Soulcraft beer will abound; and a crag stewardship project on Sunday morning will give you a quick opportunity to roll up your sleeves and give back to help keep our climbing areas clean and well maintained. New this year is a Horseshoe Hell-style competition at the cliffs on Saturday sponsored by City Rock Climbing Center, live music, DJ and dancing, and local food trucks. Spend time with friends, drink lots of free beer, win top end gear at our raffles and silent auctions, do some fabulous bolt clipping in the sun, and give some love to your crag, that’s the Shelf Road Craggin’ Classic in a nutshell. Space is limited and THIS EVENT WILL SELL OUT, so register today! 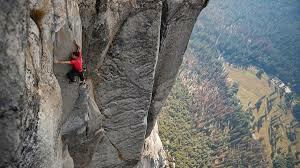 Alex Honnold’s Free Solo is coming to Kimball’s Peak Three theater in Colorado Springs Oct 5, 2018. Tanner Appreciation Weekend-Oct 5-7, 2018. Free Camping at Oak Creek Campground and climbing along Oak Creek Grade Road. Bring your loppers to help clean the approach trails too. The northern Wet Mountains closure due to the Adobe Peak fire has been lifted according to the USFS. Climb on.